The Strasbourg European Fantastic Film Festival is organised by a non-profit making association. Our event is run 99.9% by volunteers. If you are adventurous, a committed film lover and have nothing again short-term slavery, than join us and help out with the 11th edition. We need you, we want you – three weeks before and during the Festival, we will be distributing flyers in and all around Strasbourg. If you are available for this period, if even for one day, then you’re the person for us. If you can handle big crowds AND zombies, then guiding them along is a golden opportunity to live this iconic event from the inside. Don’t worry, they tend to be dim-witted, slow walkers, just like in the movies, so this is not a complicated job. If you can pour a beer without the head, you’ll be King or Queen of the drinks stand. Bar experience (working, not drinking) can only work in your favour. If you adore people, especially children, and have the inner calling to be a game master … then you fill the bill to work at the Fantastic Village. We need you to run the activities stand, consisting essentially of board and parlour games and role play. If you are an obsessive, hard-core fan of video games, and want to help enlighten the public at Shadok, centre for the retro-gaming exhibition, the Indie Game Context and the heart of the virtual reality experience, then this is the job for you. If you have a valid French driver’s licence, know Strasbourg and can make frequent trips to the airports of Strasbourg and Bâle, then we’ll provide the Bat mobile. Bi-lingual French-English can only help. We are looking for fast-click, pro-active photographers, with an eagle eye for what makes a good photo. 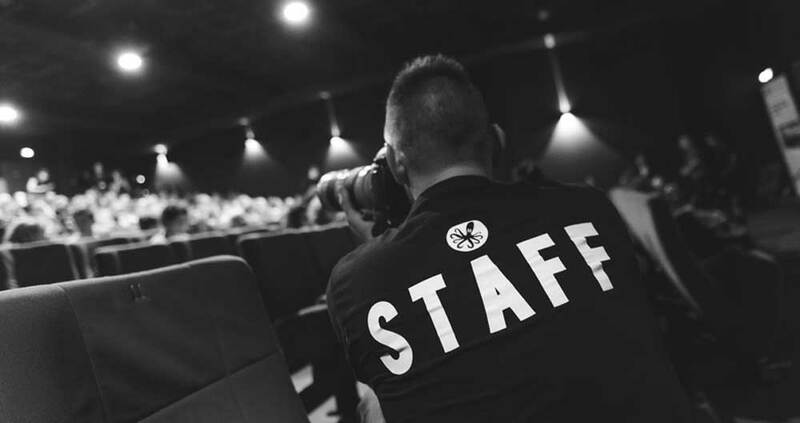 If you can dart between languages, welcome guests and festival goers inside the cinema and at exhibitions and all the while keep your cool no matter how obnoxious they become, then this job is earmarked for you. If you’re handy with tools and nuts and bolts, and are curious about what’s holding up the Fantastic Village, the Zombie Walk fanfare, the Indie Game Contest display, the open-air cinemas, and more, then sign on here. If you have a toothy smile, are friendly, speak French and English, and even know how to count, apply here.